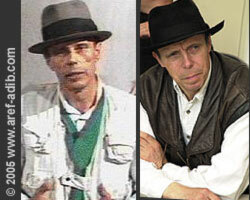 Joseph Beuys (1921-86) is considered one of the most influential figures in modern and contemporary art. Joseph Beuys: Actions, Vitrines, Environments is at Tate Modern from today until 2 May. Gunther von Hagens dissects the bodies and wears a hat and vest that recalls Beuys.